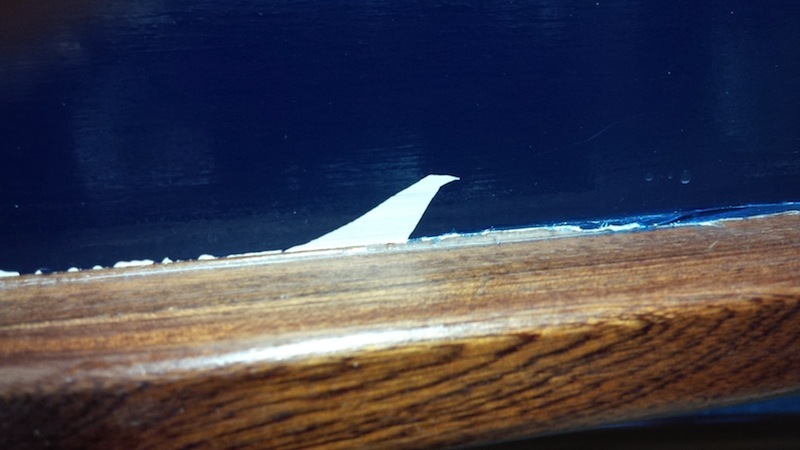 I am bit miffed that some of the paint on my Skerry hull (where the hull meets the rails) has peeled off when removing the masking tape. It is very fixable (if another annoying delay), but I am now worried about how well my top coat has bonded to the undercoat. I had made sure to cut the joint where the paint had overlapped, but even still...! 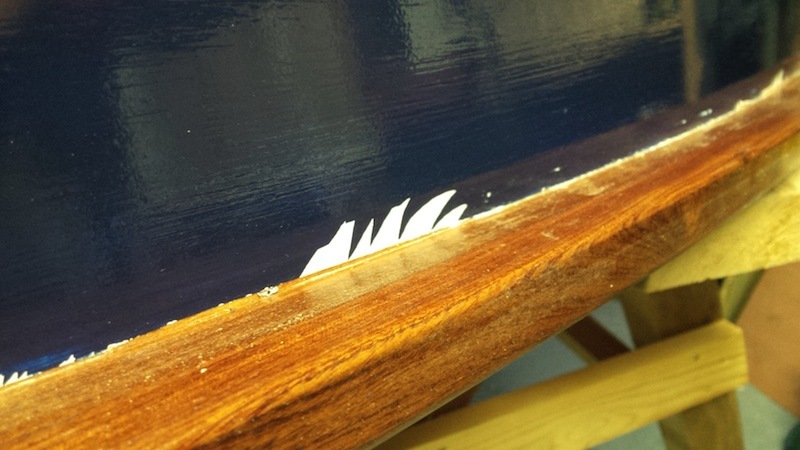 I used a standard marine undercoat and then the Teamac supplied by Fyneboats as the top coat. I really hope this is not going to be an issue! Still the what's the worst that can happen - another paint job...?